TOKAJI.com .::. 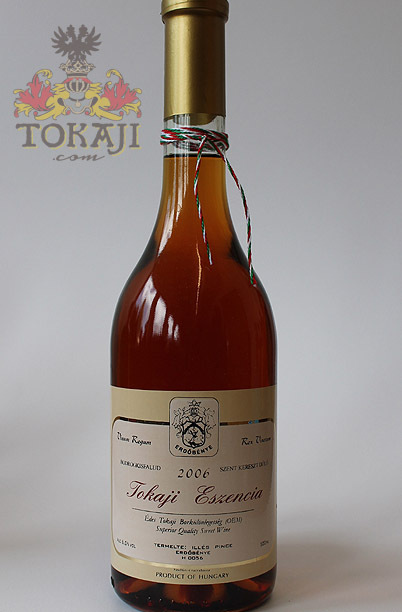 Buy Tokaji Essencia : 2006 Tokaji Essencia "Szent Kereszt"
You are here: Home BUY TOKAJI Buy Tokaji Essencia 2006 Tokaji Essencia "Szent Kereszt"
Furmint-Harslevelü assembled Essencia from the Szent Kereszt vineyard on the slopes of the Tokaj Mountain. Great artesanal example from the small Illés family winery. Szent Kereszt dülo, the "Holy Cross" hill, is part of Tarcal's northern portion of the Tokaj Kopasz mountain, and borders on the Nyulás dülö. Although not particularly classified in 1798 or 1867, this vineyard existed already in 1737. At that time, the Szepes County Chamber bestowed the vineyard upon the Piarist Order. Some time before their acquisition, the Pettkó family was a prominent owner of Szent Kereszt. The name of the vineyard might refer to a cloister, which existed on the hill earlier.